In the past few months, Greece has been the centre of attention of world media. As the possibility of a Grexit came closer than ever, the financial stability of the Eurozone, and arguably the world, was at play. 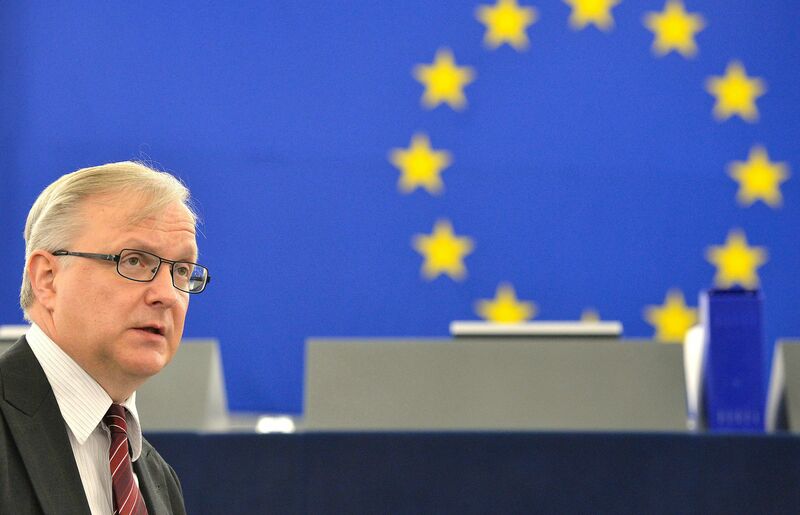 On the 8th of July, Guy Verhofstadt gave a passionate speech in the European Parliament, directly addressing Greek Prime Minister Alexis Tsipras at the height of troubled negotiations between Greece and its creditors. His speech, which went viral on all forms of social media, ended with the phrase “do it now!”. Mr Verhofstadt’s comment pinpoints the current scene of the “Greek Story” that we’ve been witnessing. A retrospective look on this story is necessary not only to understand the present situation, but also to understand what needs to be done in the near future. In the 1940s, Greece suffered a civil war which ended with the surrender of the communist party. In its aftermath, leftists in Greece were both marginalised and blamed for the war. Years later, this rejection of the leftist movement culminated in the 1967 coup d’état, led by fascist generals at the time. Their military “junta” brought about oppression, forced exiles, persecutions, and torture of communist academics, activists and cultural figures. After the fall of “The Colonels” in 1974, there was a progressive liberalisation of the leftist movement in Greece (along with the rest of Europe) which led to the successful election of the nation’s first ever social democratic party, PASOK, in 1981. What came next has been attributed as the root of Greece’s modern woes. 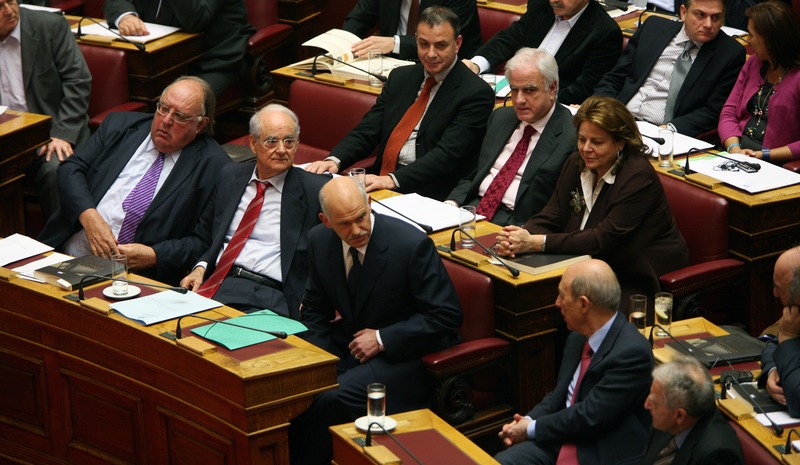 In order to gain the vote and sympathy of the divided Greek society, the PASOK government engaged in systemic clientelism and nepotism. The public sector expanded immensely, jobs became favours, and corruption became a regular part of Greek politics and civil society. On the other hand, the Greek people developed a love-hate relationship with the government which still persists today. Most people distrusted the government and evaded taxes in some form, whilst also simultaneously relying on it for a number of services ranging from jobs to personal favours like permits and licences. One cannot solemnly blame PASOK for this, as Greece was a relatively new country with dysfunctional institutions. Yet, as the years went by, clientelism continued and became ingrained in the minds of the average Greek citizen and politician. In 1990, Nea Dimokratia (ND), the centre-right party, came to power in government. However, instead of changing and fixing Greece’s political culture, ND feared it would alienate voters if it discontinued the “way of government” that had prevailed during the 80’s. Thus, Greek clientelism continued untouched, passing from ND to PASOK and arguably reaching its climax in 2004 when Greece hosted the Summer Olympics. The games not only cost billions in public money, but were also the subject of bribery relating to building contracts. In Greece, many still regard it as “the games we couldn’t pay for”. In 2009, ND’s rule came to an end. In the wake of the Great Recession, the european financial market was hit by high government structural deficits and accelerating debt levels. The countries most affected by the recession saw a strong rise in interest rates for government bonds as a result of investor concerns about the future sustainability of their debt. Investors started to doubt Greece’s ability to repay its accumulated debt, not only because of its ever increasing size, but also due to revelations that past data on debt levels and deficits was manipulated by the Greek government. The outcome was a deep crisis of confidence in Greece’s economy, shown by an increase of bond yield spreads and in the cost of risk insurance on credit default swaps compared to other Eurozone countries. This not only meant that the “cheap” money flowing into Greece due to its membership in the Euro (feeding its clientelistic system) could not continue, but that the government could not even borrow any more at market levels due to the recession. Greece needed urgent money to pay its debt, as well as its pensions and salaries. As a result, the European Commission, the European Central Bank, and the International Monetary Fund (together known as the Troika) gave Greece around €200 billion between two bailouts in 2010 and 2012. In exchange, the Troika demanded austerity measures from the government which would lower its debt and reduce the size of its public sector. It also put forth the need for structural reforms in ministries and in the country’s tax collection system. Whilst some were necessary, many of these measures were rightly criticised as harsh, and sometimes even counter-productive. In fact, the image of the Troika’s tainted black cars and suited men arriving in Athens to “dictate terms” gave them the lovely nickname of “Men in Black”. In theory, the reforms would be a way of showing the Troika that Greece could indeed put its finances back in track and ditch the clientelist system that had reigned for decades. All in exchange for the bailout money. However, PASOK and ND, the parties who oversaw the first and second bail-out reforms in 2010 and 2012, both failed to do their job. From the list of Troika’s demands, Greek politicians chose the “easiest” and ergo most superficial ones to implement. They raised taxes, cut salaries, and reduced public sector jobs. The essential reforms that actually needed to be done, the ones that required time, energy and great political cost, were largely postponed. For example, the fund that was designated to privatise many of Greece’s undervalued assets had as its goal to raise €50 billion euros. In reality, it raised little more than €2 billion. Indeed, privatisation in a country where the government is as big and dysfunctional as Greece’s can make those who benefit from the state angry, which in turn results in MPs losing their jobs. That is why it was easier to just sign in laws that reduced government expenses rather than making essential and difficult reforms. In economic terms, this did little more than prolong Greece’s recession and had a very small positive effect on the country’s debt crisis. So, after five years of austerity that hadn’t paid off, Greeks were becoming increasingly frustrated. In January of 2015, the people elected SYRIZA, a party that vowed to repeal austerity laws, rehire public workers, halt privatisation of public assets, reach an agreement with the Troika that wouldn’t require austerity, “force” them to write down the debt, and eliminate the corrupt oligarchical business elites that dominate the Greek economy. SYRIZA, treating the Greek people much like a naive child, made such a vast range of impossible-to-complete promises. Journalists and politicians constantly questioned the financial and political feasibility of such actions, but never got an answer. Nonetheless, their rhetoric played well with a society that had suffered five years of crippling austerity and recession. After six months, the verdict is quite clear: SYRIZA negotiators botched the negotiations with their counterparts and brought Greece on the verge of a Grexit. The government is now negotiating for a third bailout, having had to first implement capital controls and increasingly harsh measures. More importantly, the country is finally seeing some positive structural reforms, those that ND and PASOK had failed to implement for so many years. Yet, the national debt has not been written down, SYRIZA has not reduced, but perhaps even increased the clientelistic methods used in the past, it has failed to eliminate the corrupt oligarchical business elites of the economy, and it and has eliminated some of the previous positive reforms made by ND and PASOK during the 2010 and 2012 bailouts. The newest agreement between Greece and Troika is set to unfreeze €86 billion over three years. The reforms in question consist of a mix of taxation, labour market, and banking sector reforms, alongside privatisation of state-owned assets (details can be found here). More industries will be subject to the top VAT rate of 23%, Greek islands will no longer have the lowest VAT rate of 6%, and corporate tax will also increase up to 28%. Moreover, the retirement age will increase to 67 by 2022, whilst state-funded aid to the poorest pensioners will be eliminated by 2019. The reforms also aim to liberalise the labour market and, among other things, increase shopping hours and adopt “rigorous reviews and modernisation of collective bargaining, industrial action and, in line with the relevant EU directive and best practice, collective dismissals”. Greece also has to reinforce banking governance by “eliminating any possibility for political interference, especially in appointment processes”. Indeed, the deal signals for the creation of a concrete programme for “de-politicising the Greek administration”. 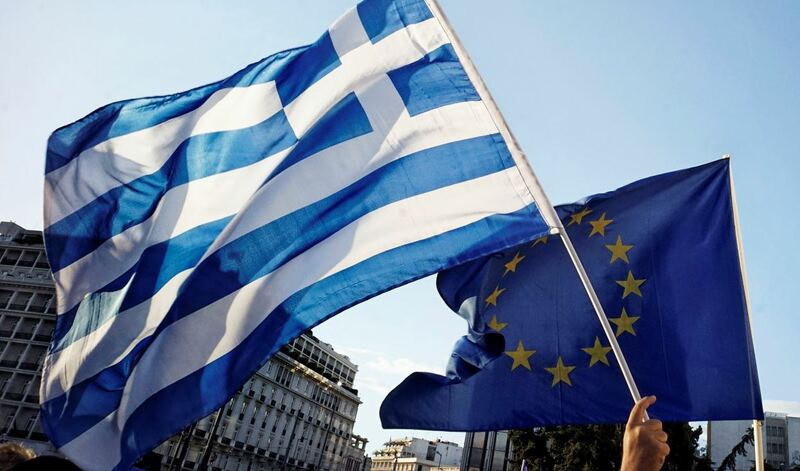 Lastly, the most controversial aspect of the deal was that “valuable Greek assets will be transferred to an independent fund that will monetise the assets through privatisations and other means”. The fund, with a value of €50 billion, will be headquartered in Greece and managed by Greek authorities under the strict supervision of the Troika. Of its revenue, 50% will go to debt repayments, 25% to investments and the remaining 25% to the recapitalisation of greek banks following their massive loss of capital that prompted capital controls. The deal, however, does not mention a reduction for Greece’s unsustainable debt (a detail that makes the IMF wary). With such tough reforms ahead, Greece is heading for its third and hopefully last bailout for years to come. With the third bailout soon on its way, difficult times are ahead for Greece. There are two main issues now at play. First, the anti-austerity platform will continue under other politicians in Greece, having been “given away” by SYRIZA. Greek society will thus continue to be divided between those who see austerity as the necessary evil to fight Greece’s woes and those who see it as an unnecessary punishment by Greece’s creditors. Politicians will emerge, possibly old members of SYRIZA disillusioned with its trajectory, who will carry the anti-austerity movement in Greece and exploit the understandable anger and frustration of the Greek people. Second, Greece will have to live through a period of political turmoil until we can find a party to properly carry on the reforms of the third bailout. It is quite clear that SYRIZA does not believe in the reforms it signed up for; they will not be the ones to implement them. Yet, despite the surrounding uncertainty, Greece has made one thing clear during these last 6 months: the will of the Greek people is to stay in the Euro and to find a solution to Greece’s financial problems by restructuring what is fundamentally wrong with the country. Almost all Greeks agree that something has to change, yet they also agree that what happened these past five years is not the real answer. 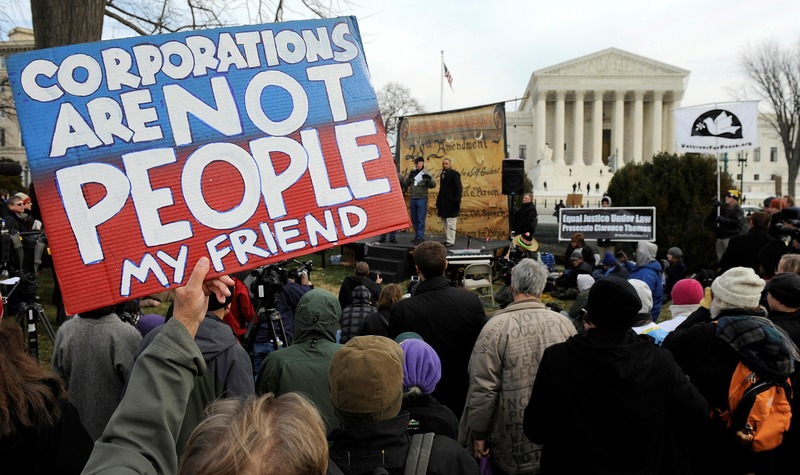 True reforms need to take place, and there is now, more than ever, both the political and social will to do them. The question is, who is going to carry them out? The two parties who created the problems in the first place, or the party who promised its way into power just to repeat the same mistakes? One thing is clear, as Mr. Verhofstadt said, someone needs to “do it now!”.